Taking part in yearbooks or scholastic journalism doesn’t always translate to a career in journalism. For Jennifer Ward, it did… at first. She had an impressive news career, with positions at the Dallas Morning News Online and the Fresno Bee. Eventually, she decided to follow her heart and opened a store dedicated to tabletop games, the Crazy Squirrel Game Store in Fresno, California. But that doesn’t mean she left all those journalistic skills behind. Ward sat down with Behind the Byline podcast hosts Evan Blackwell and Jenica Hallman to share her journey. You can read a summary here, but we strongly recommend listening to her powerful interview. You can find it at walsworthyearbooks.com/podcasts or wherever you get your podcasts, including Apple Podcasts, Spotify and Stitcher. Even though she thought she’d become an engineer, it was evident early in her life that writing was one of Ward’s loves. She didn’t do any scholastic journalism in high school – in part because she moved around so frequently – but Ward joined her college newspaper staff on a dare. Her second year, she became the editor-in-chief of her campus paper, which she credits with helping her discover who she was. Even though she had what she calls “some of the most awkward experiences of my life,” she loved the experience and grew from it. Once she decided she wanted to do full-time journalism, she transferred to Northwest Missouri State University where she joined the yearbook staff. She weighed in on the “yearbook versus newspaper” debate that many people hash over again and again. “In essence, we’re doing the same thing. We’re collecting information and assimilating it, then dispersing it in ways that other people will enjoy it or learn something from it,” said Ward. After graduation, Ward took a job as a developer. “[I] graduated in winter of ‘96 and newspapers were not hiring. I tried desperately to get a job at a newspaper, particularly one with a good website, and it just wasn’t a thing that was happening,” she said. Ward moved home to Missouri when her best friend became ill and asked her to serve as caregiver. “After she died, I did that typical cheesy movie moment where you’re like, ‘Well, I have this degree in journalism and I should completely change my life and do this thing I love.’ And so I did. And it was amazing,” said Ward. She started her journalism career at a small paper in Carlsbad, New Mexico. She served as copy editor, news editor and put their website together. Ward’s first career step was more of a leap. She moved from a newspaper with a circulation of 9,000 to The Dallas Morning News, which had at least 500,000 readers. She worked as a programmer/database designer and did some writing on the side. “That situation was awesome because I got to work with a bigger group of people that could specialize their skills,” she said. She was working there on September 11, 2001. She was on vacation and had slept in. She turned on the television, saw the first plane hit the tower and immediately headed to work, where the entire staff practically lived for a week. During the terrible week following the collapse of the twin towers, she was upset and felt like she should go to New York to help. Her father reminded her that she was doing important work where she was. Ward eventually wanted to create more content and less database design. She was also interested in management. The Fresno Bee had an opening that fit both bills. She took the job and moved to Fresno. The ownership had a reputation as being employee friendly. She also met the man who would become her husband. “It soon became clear that I was going to be in Fresno a lot longer than I had originally planned,” said Ward. She came in as a manager, and started supervising her entire department within months. “As it turns out, I love managing people and I enjoy it,” she shared. Ward and her husband have loved games for a long time. They hosted weekly game nights at their house. After she was forced to lay off a few people, Ward decided she couldn’t do that anymore. She resigned from The Fresno Bee, and one week later her husband was unexpectedly laid off from his job. Friends had long joked that they should open a game shop, so Ward decided to write a business plan and see if it was feasible. “Writing a business plan is like writing a program plan, just really, really big and with your own money,” said Ward. Her journalism research skills helped her write a great business plan. They went ahead and opened their store. She persisted, worked hard, asked questions and continued building Crazy Squirrel Games. Ward has continued to develop her interpersonal skills, and grew her networking skills. As those skills grew, so did her store, which has expanded from about 2,000 square feet to 4,000 square feet over the past eight years. She’s learned how to read legal documents, negotiate contracts and learned accounting skills. She’s built her business success on making the customers feel welcome. They host tournaments and competitions and invite input from the people who frequent them. That doesn’t mean it’s a painless process. Ward said she works hard, especially in the first two years. Ward’s advice to students planning out their lives: change with the journey. Adapt as you grow as a person. In the interview, Ward said multiple times that “failure just means you’re trying new things.” She never expected to become a small business owner, but she loves what she’s doing. Ward shared even more advice and insights during her conversation. It is well worth the 45-minute listen and beneficial to anyone involved in scholastic journalism, whether as a teacher or a student. 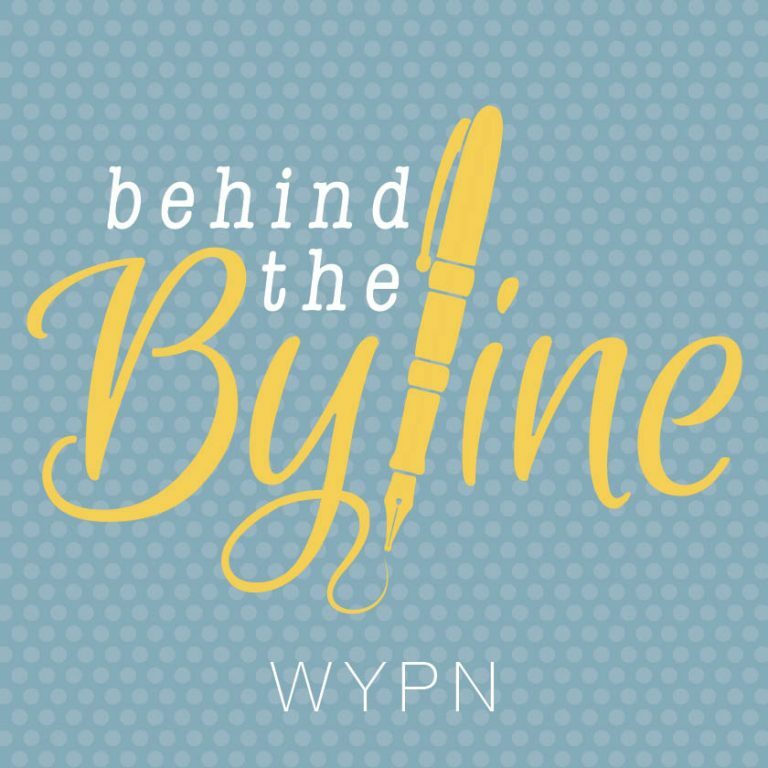 You can find this episode of Behind the Byline at walsworthyearbooks.com/podcasts or your preferred podcast platform, including Apple Podcasts, Spotify and Stitcher.